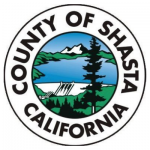 Get a Shasta County Traffic Ticket? You Can Beat It! Did You Get a Ticket in Shasta County, California? You can fight Shasta traffic tickets by getting them dismissed much easier than you may think. In Shasta, California, drivers are allowed to contest a traffic ticket using a Trial by Written Declaration. This is best way to fight a traffic ticket without going to an Shasta courthouse or hiring an expensive Shasta traffic ticket lawyer. We have found this to be the best way to contest a California traffic ticket, period. This option is available to every driver who receives a traffic ticket in Shasta, California. In fact, if you turn over your traffic ticket you will see that a Trial by Written Declaration is listed right on the back of your ticket as one way to fight it. This process has been around since 1978 to avoid having to pay traffic ticket fines. TicketBust has been helping California drivers prepare Trial by Written Declaration’s for over 14 years. In fact, tens of thousands of vehicle tickets in California have been contested using our system. We are the original traffic ticket fighter and the TicketBust system has been developed specifically to prepare all your documents properly based on how you answer a few questions. This way you can fight your ticket, knowing you have maximized your chances of having the court dismiss your Shasta County traffic ticket. TicketBust service will prepare your full defense package for you, which includes your Trial by Written Declaration and all the defense documents required by Shasta traffic court. Fill out the yellow form to fight your Shasta traffic ticket now! Did you know that you aren’t allowed to pass the white limit line when you are stopped at an intersection? From our experience, this can be a common ticket issued in the county of Shasta, so be on the lookout and stay behind that solid white line. If you find yourself having received a traffic ticket in Shasta, give us a call or fill out our form to see how we can help! “Shasta” is the English derivative of the name of the Native American people once living in the area around what is now known as Mount Shasta. When the county was formed in 1850, Mount Shasta was included in the original territory lines, however, since 1852, the peak is now a part of Siskiyou County. Land from the original county’s territory was also given to Tehama County in 1856. While California’s popularity was first due to the promise of gold, in 1897 copper replaced gold as the number one mineral produced in Shasta County, a distinction it held until the 1950’s. Today’s county lines are marked on the east, north, and west side by the mountains which allows Shasta County a total area of 3,847 square miles. With just under 180,000 people, a major portion of Shasta’s economy is based on service, retail, and local government services. In addition, agriculture is a continued part of the resource economy having evolved from traditional ranching to a more intensive nuts and viticulture seen today. Shasta County is home to the world’s largest sundial, the Sundial Bridge, which has become to be known as the most costly and inaccurate time piece on earth. The $23 million Sundial Bridge tells time accurately only on June 21st (the summer solstice). The remaining days of the year, the sundial can only record the hours from 11am to 3pm as it casts too large of a shadow to read outside of those times.